There’s little doubt that SEO campaigns have become more prevalent and more dynamic in the recent past. And while nothing can guarantee the success of your business, there are certainly steps you can take to increase your chances of exposure. 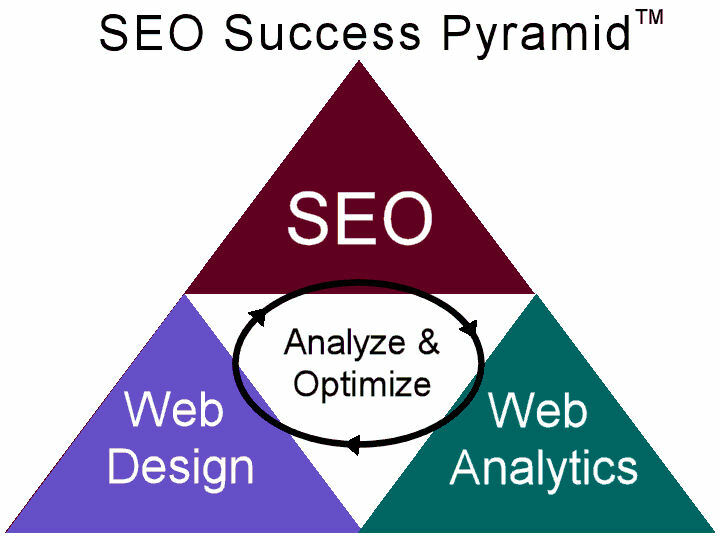 With that in mind, there has been the creation of the SEO pyramid. Offering the necessary steps for SEO success in a level by level form, the rendering of this kind of campaign can be basic or it can be more detailed. But either way, the basic principle remains the same. For any company that is looking into utilizing an organized SEO campaign, there are several required elements: commitment, keyword research, content, link building, and management. -Commitment: It’s a simple step but a necessary one. If you aren’t committed to your business, it’s going to go nowhere fast. SEO campaigns do take time and work, and just like anything, you’ll get results according to the effort you put in. -Keyword research: Some people may quibble over the order of this step in relation to content, but one way or another, every successful SEO campaign is built on targeting (and targeting correctly) the right keywords. Don’t forget to also implement analytic tools, which will help you gauge your success over time. -Content: High quality content (used in conjunction with proper keyword research) is an absolute must for the success of any SEO campaign. The content can come in many different forms, including articles, blogs, site pages, and even user-generated content. -Link building: Get your keyword-researched content seen by the largest number of people with a successful link building system. -Management: Once all the pieces are in place, make sure you know how to manage your reputation and respond to feedback, both positive and negative. People are increasingly putting stock in user reviews, so have a system in place to monitor what is being said about you and how to combat the negative should it arise. Although there are several versions of these “SEO pyramids,” and people will argue over which is more effective, remember that a large part of the battle is having an organized plan that implements all the crucial steps. Do this, and you’re well on your way to exposure. Nice Article, really good information in it. This post was very helpful. Glad you liked the post Justin. Thanks for reading!